As Still prepares to be inducted into the Women’s Basketball Hall of Fame, she looks back at the people who paved the way for her and talks about cementing her own legacy outside of the game. Valerie Still loves nothing more than promoting good news and encouraging others in the Palmyra School District. As the school district’s public information officer, Still spends lots of time each week sharing news about accomplishments from students all over the district. She’s not someone to talk about herself, even now as Still finds herself in an elite group of female basketball players. On Feb. 3, the Women’s Basketball Hall of Fame announced Still would be inducted into the hall as part of the Class of 2019. The induction ceremony will take place in Knoxville, Tenn., on June 8. Still’s basketball playing career includes countless accolades. 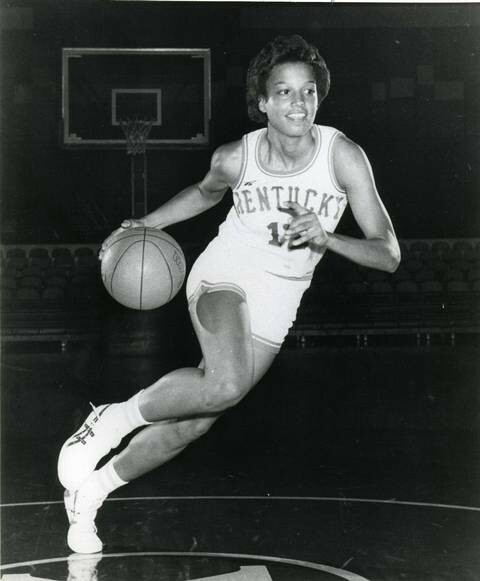 She played at the University of Kentucky from 1979 to 1983, scoring 2,763 points and recording 1,525 rebounds. Those numbers remain the school records for both the men’s and women’s programs. Still would go on to play professional basketball for more than 15 years, playing more than a decade in Italy, where she was an eight-time Italian League all-star. She came back to the United States in the late 1990s to play for the Columbus Quest of the American Basketball League, where she led her team to two championships. After the league folded, Still finished her career with the Washington Mystics of the WNBA. Congrats @ValerieStill1 @WBHOF Class of 2019! Despite all of these achievements, Still doesn’t allow herself to be defined as a great basketball player. In fact, she said very few people knew about her basketball life when she began working in the Palmyra School District in the 2017–18 school year. Still isn’t one to spend time reflecting on past success. She’s instead focused on the present and is trying to live a life of significance. For her, that means encouraging the many young students in Palmyra School District to pursue their passion. 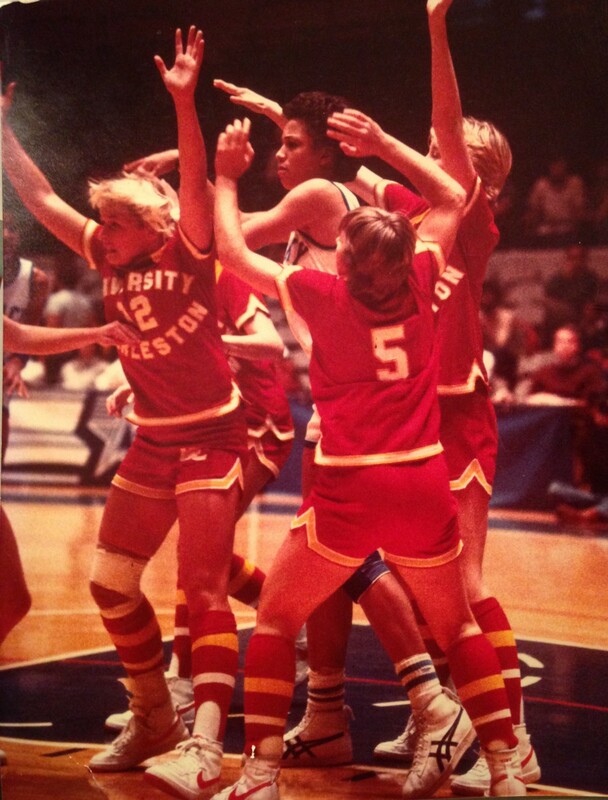 Still is driven to live a life of significance in part due to the many people who made her basketball career possible. Still points to one her ancestors, her great-great-granduncle William Still, the conductor of the Underground Railroad, as someone who helped pave the way for her to enjoy a prosperous life. When Still was growing up in Camden in the 1960s and 1970s, girls sports were nowhere near as common as today. Still talks of how many discouraged her from being an athlete. However, Still wanted to do nothing more than play basketball. “If you’re true to yourself and really follow your passion, everything else…falls into place,” Still later added. In high school, Still played for Camden High School as well as Cherry Hill High School East for one year. She graduated high school in 1979, seven years after Title IX was passed. Still credits Bernice Sandler, the activist who got Title IX passed, as another person whose life of significance helped allow her to have a successful career. In 1978, six years after the passage of Title IX, colleges began offering athletic scholarships to female athletes. Still believes her love of athletics and competitiveness are what allowed her to have so much success in basketball. She still recalls looking at the back of the University of Kentucky media guide as a freshman and wishing she could put her name in the career leaders’ list. “It all turned into making me who I was, extremely competitive, which did well with my basketball career,” Still later added. Despite the success, Still faced numerous personal struggles after her basketball career ended. Wear and tear to her knees from a long career left Still unable to play her favorite sport even recreationally. In 2010, Still’s mother, Gwendolyn, passed away in her Palmyra home, leaving Valerie with ownership of her house. After being unable to sell the house, Valerie moved to Palmyra with her son, Aaron. In 2014, Aaron left for the U.S. Naval Academy and Still found herself looking for answers. Still picked up meditation at the Brahma Kumaris Meditation Center in Cinnaminson and credits it for changing her outlook on life. She toned down her competitive side and focused instead on following in the footsteps of people like William Still and Sandler. She wanted to live a life of significance. “Now, I get the opportunity every day to work with young people and to help them stay true to themselves, regardless of what society tells them,” she said. Still said she was thrilled to hear about her induction to the Women’s Hall of Fame and is thankful for her basketball career. She describes her time in the sport as part of the journey to her current place in life, a place where she is spreading joy and positive vibes to many.